The toddler program at My First Montessori School is focused on helping guide students’ self-discovery during this sensitive stage of development. We maintain a 5:1 student to teacher ratio, while each toddler classroom has Registered Early Childhood Educators and/or Montessori trained teachers. 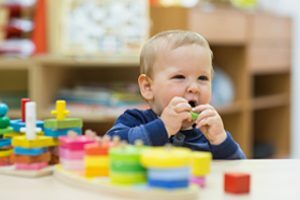 My First Montessori School’s Toddler program uses the Montessori philosophy along with the Ministry of Education pedagogy on early learning to help children achieve their fullest potential. Please click below to find out more about the domains and skills that the children will work towards. My First Montessori School’s main goal for the toddler program is to create an environment that is a home away from home while at the same time igniting the child’s natural curiosity. 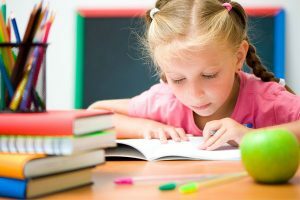 The areas in the classroom help the toddler reach certain milestones while heightening their natural learning process. Practical Life – Practical life activities form the foundation of the Montessori classroom and prepare the child for all other areas. Through the repetition of practical life activities, children obtain and refine the basic skills that will serve them all their lives. The toddler classroom offers the early practical life exercises, such as pouring, spooning, lacing, table cleaning, and polishing. These activities are designed to enhance the child’s development of fine motor control, eye-hand coordination, balance, sense of order, concentration and independence. 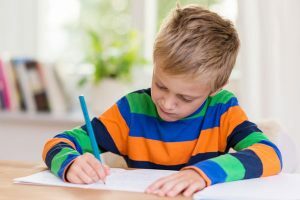 Language – Children’s speech development experiences a surge of words, soon followed by sentences around the age of two. Early learning materials and oral exercise like storytelling and reading aloud support the toddler’s progress. The language materials in the toddler classroom encourage the refinement and enrichment of language as the first steps on the road to writing and reading. Activities include books, puzzles, naming objects, and beginning sound games. Sensorial – Sensorial activities assist toddlers in the task of organizing, and developing their 5 senses. We all learn through our senses, and this is especially true of very young children who are at the beginning of taking in and understanding the world around them. Sensorial materials include pink tower for practice with dimension, colour tablets, and sorting by shapes and sizes. Math – In the toddler room, the children are exposed to the world of numbers through counting games and concrete materials. These exercises encourage the development of important pre-math skills such as order, sequence, visual discrimination, sorting, and one-to-one correspondence. 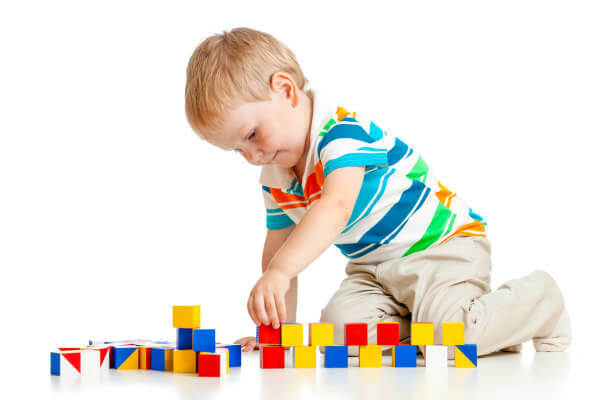 Toddler math activities include stacking, number blocks and puzzles, and sorting and counting materials. Creative Arts – Art is one of the many ways children express themselves. Art is a way for children to communicate their feelings. It is through art that children develop their fine motor skills. In the toddler room, we provide open-ended art activities that help children explore and use their creativity. Activities include playdough, painting, and gluing. Practical Life activities form the foundation of the Montessori classroom and prepare the child for all other areas. Through the repetition of practical life activities, children obtain and refine the basic skills that will serve them all their lives. The toddler classroom offers the early practical life exercises, such as pouring, spooning, lacing, table cleaning, and polishing. These activities are designed to enhance the child’s development of fine motor control, hand-eye coordination, balance, sense of order, concentration and independence. Children’s speech development experiences a surge of words, soon followed by sentences around the age of two. Early learning materials and oral exercise like storytelling and reading aloud support the toddler’s progress. The language materials in the toddler classroom encourage the refinement and enrichment of language as the first steps on the road to writing and reading. Activities include books, puzzles, naming objects, and beginning sound games. Sensorial activities assist toddlers in the task of organizing, and developing their 5 senses. We all learn through our senses, and this is especially true of very young children who are at the beginning of taking in and understanding the world around them. Sensorial materials include pink tower for practice with dimension, colour tablets, and sorting by shapes and sizes. In the toddler room, the children are exposed to the world of numbers through counting games and concrete materials. These exercises encourage the development of important pre-math skills such as order, sequence, visual discrimination, sorting, and one-to-one correspondence. Toddler math activities include stacking, number blocks and puzzles, and sorting and counting materials. Art is one of the many ways children express themselves. Art is a way for children to communicate their feelings. 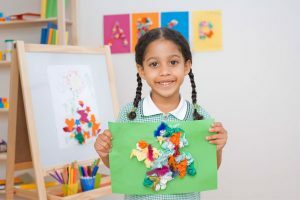 It is through art that children develop their fine motor skills. In the toddler room, we provide open-ended art activities that help children explore and use their creativity. Activities include playdough, painting, and gluing. 12:30pm Dismissal Children enroled in the Morning Half Day Program must be picked up at this time. Specialty Programs These activities will include dance, art, yoga and physical education. 4:15pm Dismissal/After School Programs Begin Children not enroled in the After-School Program must be picked up at this time. 5:15m - 6:00pm Free Play & Evening Snack This is a supervised activity period where children are free to choose from numerous activities set up by the classroom teacher. A light snack will be provided.